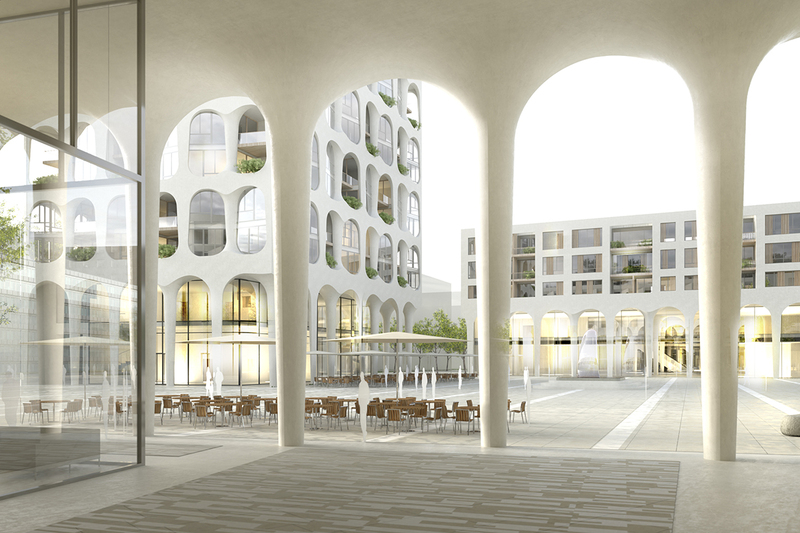 In the urban expansion area of Freiham in the west of Munich, a new district will be built on a total area of 350 hectares, where around 25,000 people will live and 15,000 people will work. 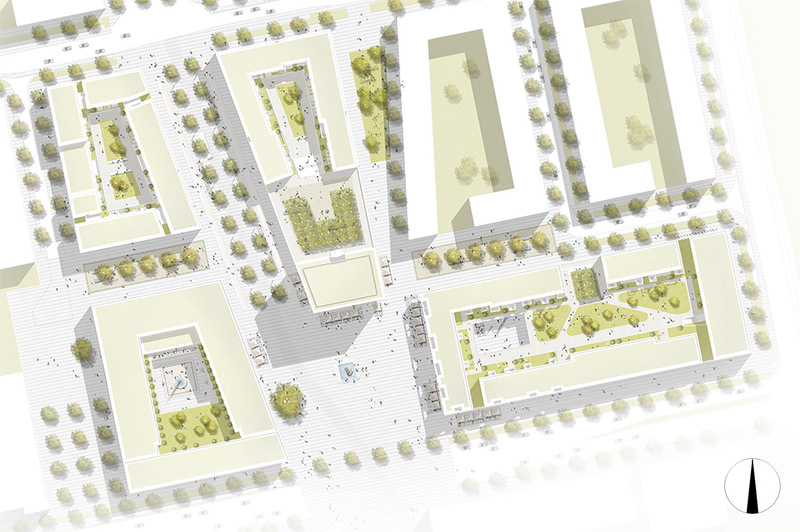 Our design for the district centre of Freiham, which was awarded first prize in the realisation competition, is based on the master plan for the entire site. It marks the start and the entrance to the new residential and commercial district. An urban, vibrant neighbourhood with a mix of apartments, retail, office, hotel, and restaurant spaces is being developed around the centrally located Mahatma Gandhi Square. The centre is subdivided into four building plots, which despite their different façade designs, create a common identity through their uniform materiality of natural stone, coloured fair-faced concrete, wooden elements, plaster and glass surfaces.